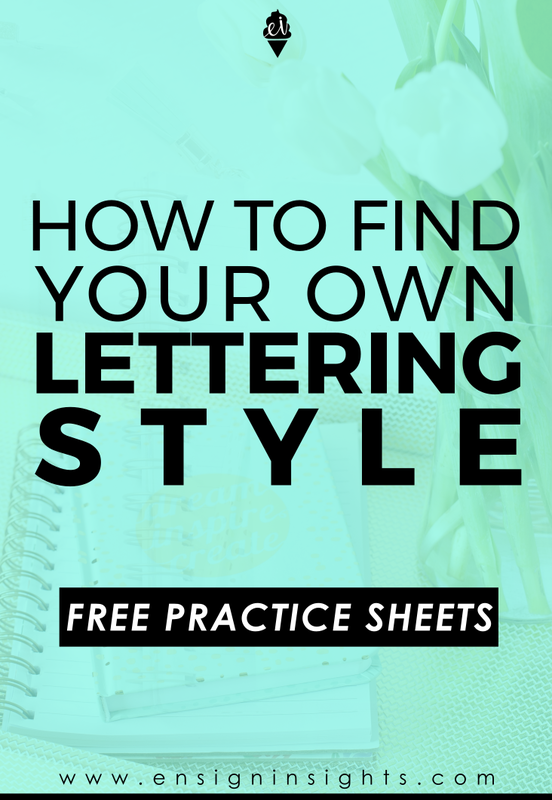 So you want to find your own “lettering style”? You’re in the right place! 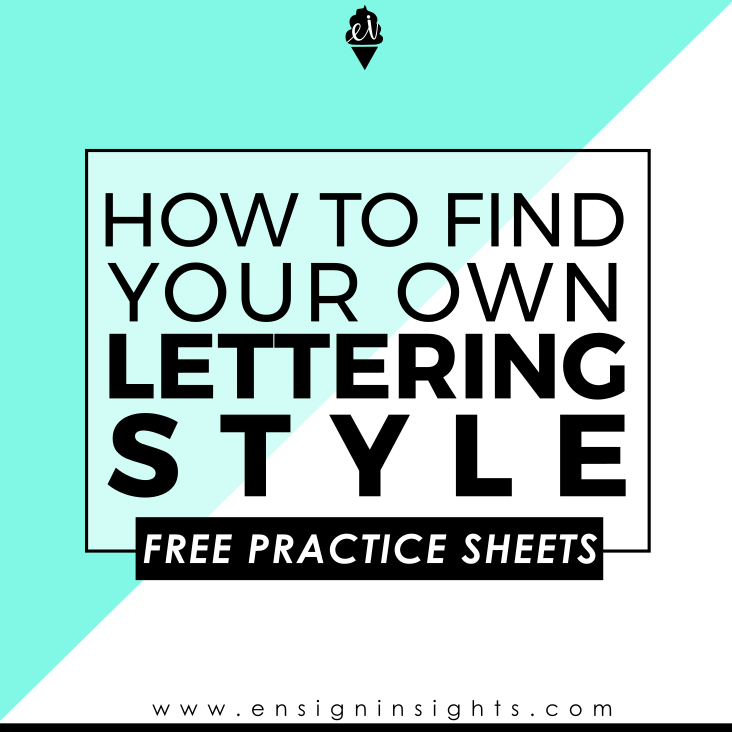 In this post I will share with you an exercise to hone in on your style as well as show you where to find free practice sheets to help you get started. You already have a style that is unique to you because of your likes and dislikes, your personality, and your life experiences. At first it can be hard to pinpoint those things and figure out how they all work together to make your style. It takes months and years of practice, but I have just the thing for you to get started. The best way to start creating your style is to immerse yourself in as many different styles as you can. Try out different things. Experiment. Learn as much as you can. You will discover what feels most natural to you. As you keep practicing and getting better, your style will be changing and getting better with you. You will not only “find” your style, you will “create” it. You may look at other letters for inspiration at first to get ideas. But once you’ve gotten ideas, if you really want YOUR style, you’ll have to keep your eyes on your own paper and come up with it. No one will be able to tell you what your style is. It has to come from you. Choose any letter. Write that letter in as many different styles as you can think of. Make it tall and chunky, make it short and skinny, play around with the entrance and exit strokes. Make it loopy or rigid. After having 10-20 different styles, look through them and choose your favorite. What makes it your favorite? Would you be able to replicate those qualities in other letters of the alphabet? Try it! You can find my 26 Ways to Letter sheets individually in my shop or you can find them in my new book Fearless Lettering.